Urban Metalwork is regularly contacted by architects, designers, artists, building contractors and home owners to carry out works involving design, manufacturing, engineering and installation of façades. 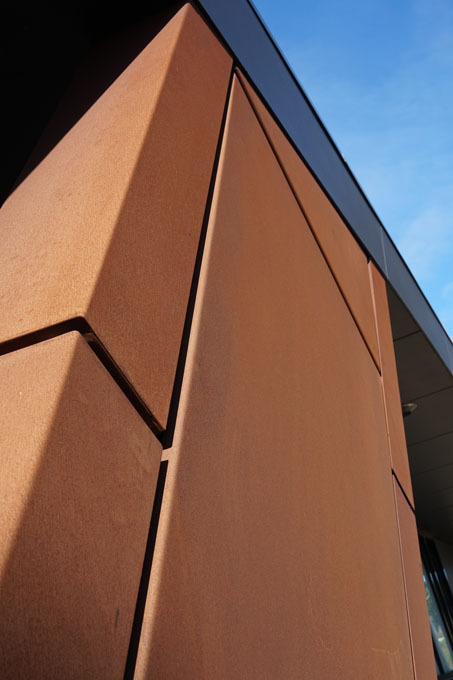 We manufacture several architectural façade systems as standard items, including aluminium wall cladding and Corten steel cladding. We are also involved in creating systems from a vision and turning them into architectural masterpieces. Our unique metal cladding has been used on some of the countries most prestigious façades, including the bronze cladding on the entrance of the Shrine of Remembrance in Melbourne. All systems can be provided in pieces, units or modules, for easy installation, along with shop drawings to assist with installation procedures. Due to the detail and extent of some of our systems, Urban Metalwork also has approved installers who can assist with installation if required. Contact Urban Metalwork today to discuss your façade requirements. We also offer decorative metal screens and Corten sculptures for Geelong businesses wanting to refresh their property.